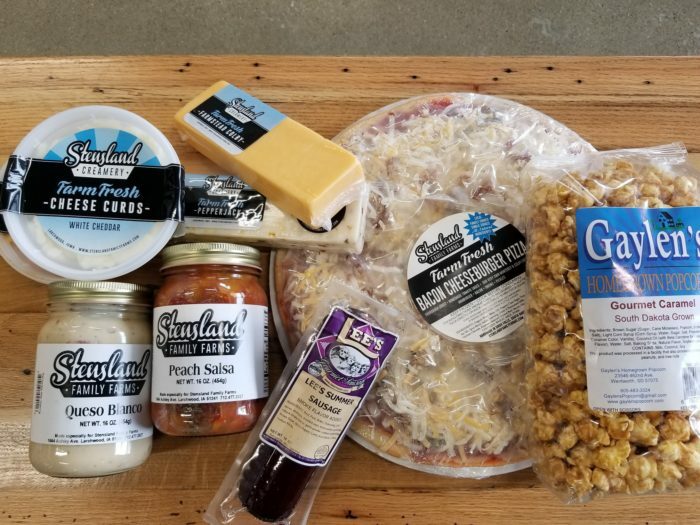 Iowans are lucky to live a state that’s full of dairy farms – that means we get our pick of some of the finest cheeses around! Check out the following cheese wonderlands and plan out your year so you can stock up frequently. 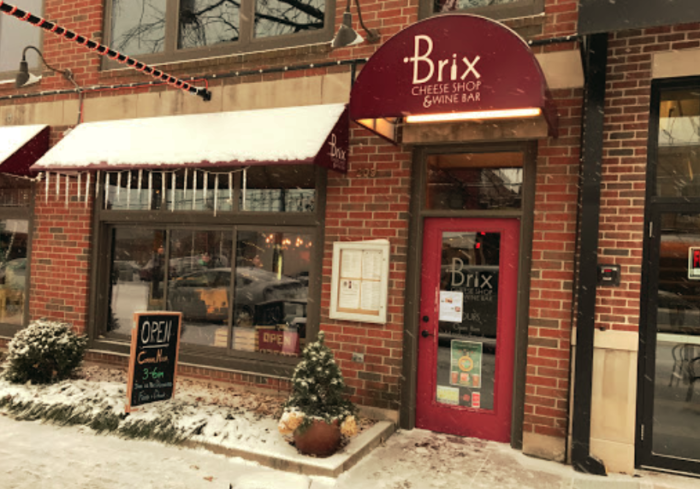 Brix in Iowa City is one of the finest wine bars and cheese shops around! 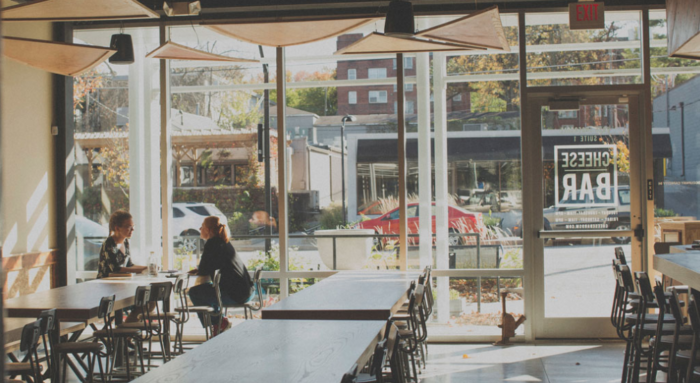 Stop by to pick up something for your home, or join them for brunch. 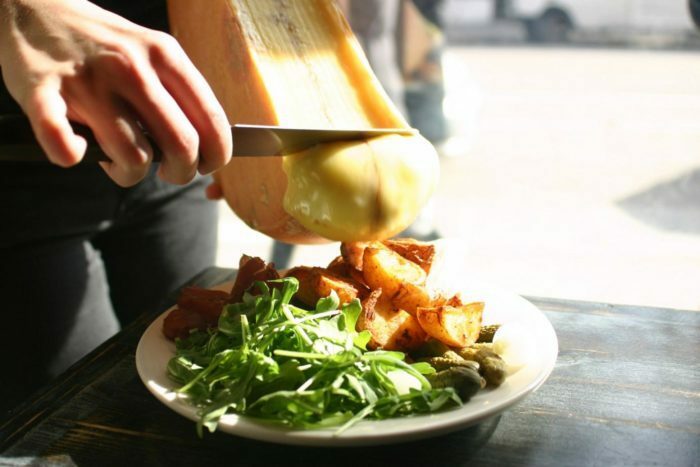 Their tableside raclette service is all the cheesy goodness you would ever hope for. 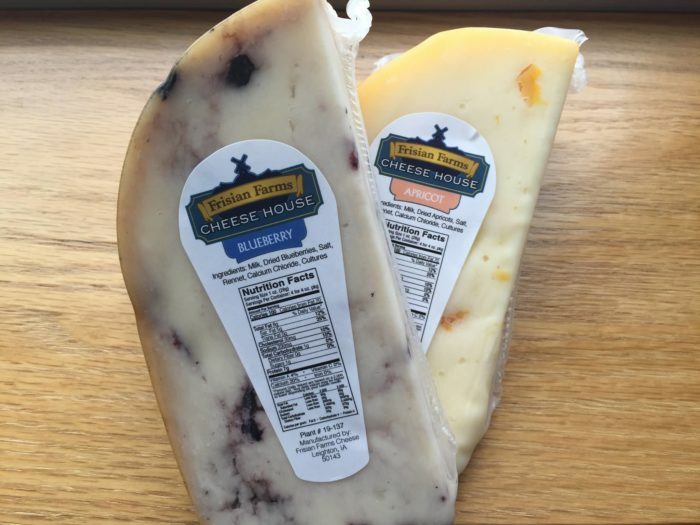 Read all about this wonderful Cheese shop in Iowa here. 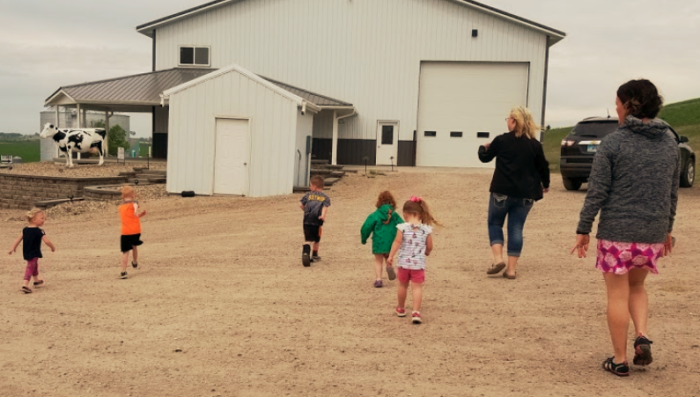 This charming little goat dairy in the Loess Hills is worth a visit if you love animals! 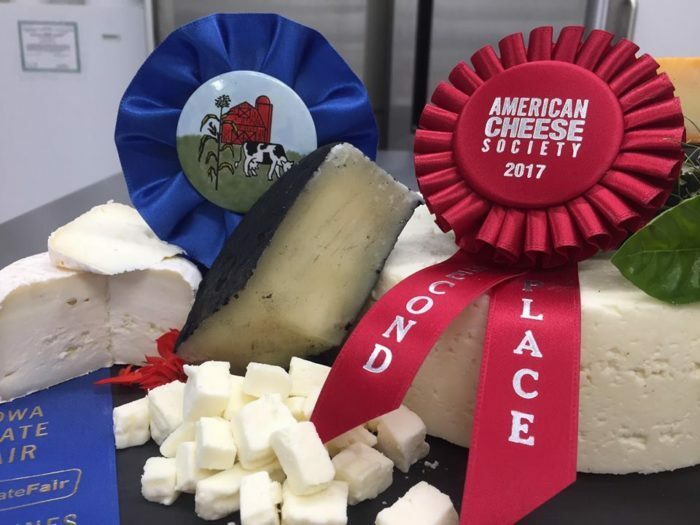 Not only can you hang out with the most spoiled goats around but their award winning cheeses are absolutely perfect. 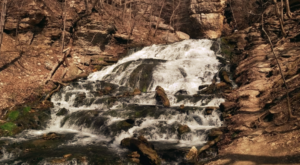 Try their famous marinated feta, or something creative like chili-pepper washed tomme. 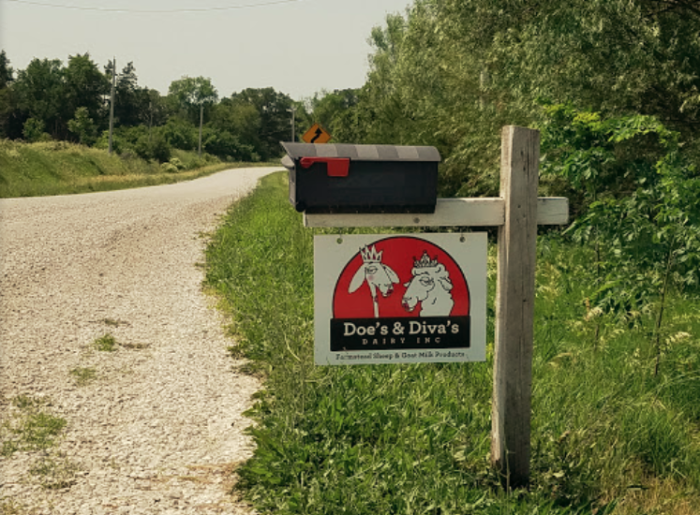 Read up on this Goat Dairy in Iowa right here. 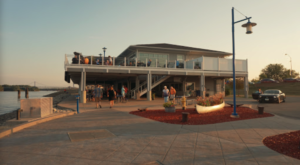 The Cheese Bar is one of the best places to dine if you're a cheese lover! This little city restaurant revolves around all sorts of cheese and charcuterie. 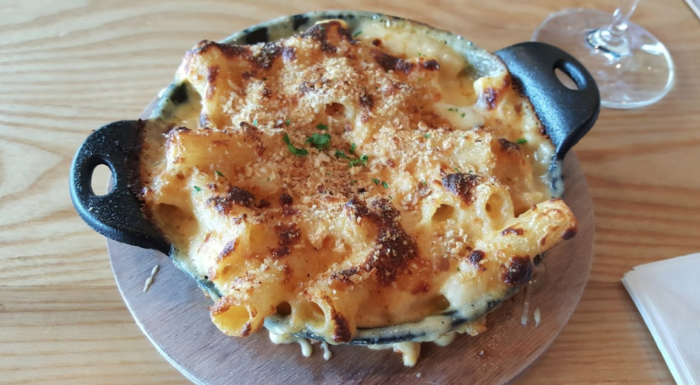 Their cast-iron mac and cheese is something that you'll crave over and over, and you'll find yourslf making the trip to DSM more often than ever. When you see all that the Cheese bar has to offer, you'll quickly fall in love. 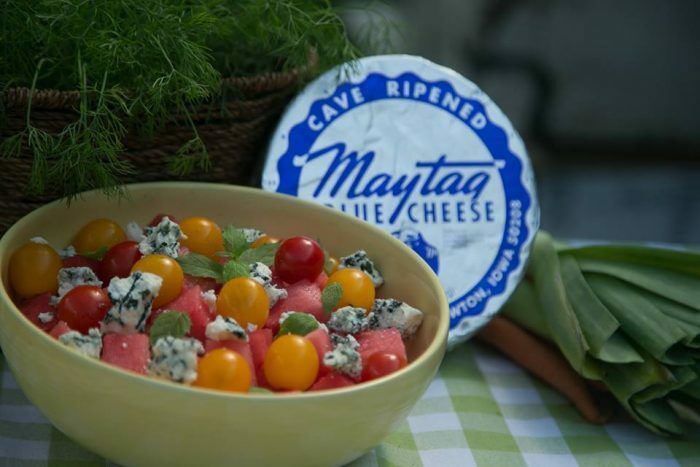 Maytag Dairy has been producing their own blue cheese since 1941, and their cheese is now world famous. 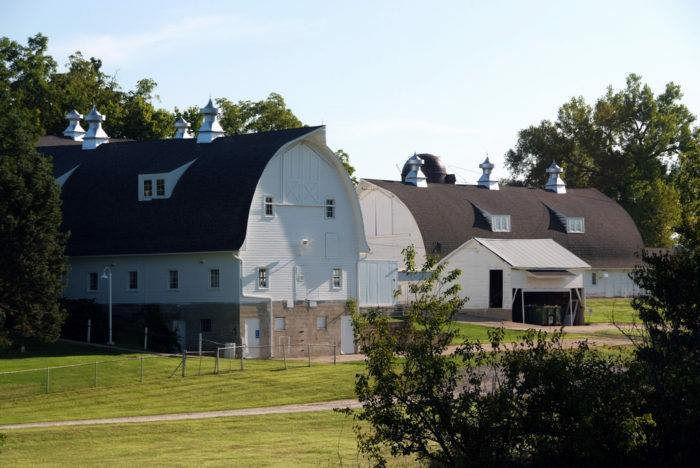 When you visit, you can take a walking tour of the farm, learn the century-old history of the Maytag family farm, watch Maytag Blue get hand wrapped and ready for shipment, and try a sample in their farm cheese shop. Read more about this world famous dairy here. 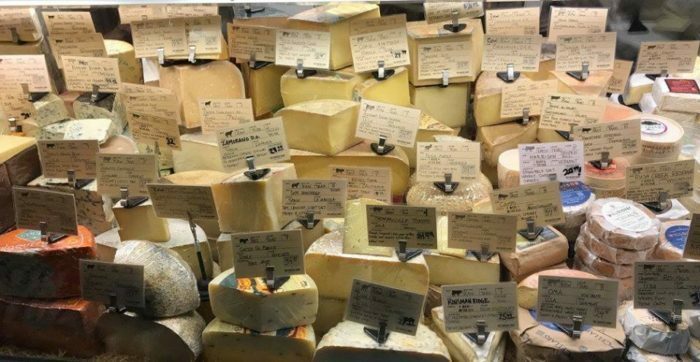 If a full, sit down meal at the Cheese Bar doesn't fit into your schedule, head to the original Cheese Shop - they opened the Cheese Bar when their original location got so popular, it was practically bursting at the seams. You'll find cheesy events here, along with a grate selection of cheeses from around the world. Shop til you drop here - after all you only live once. 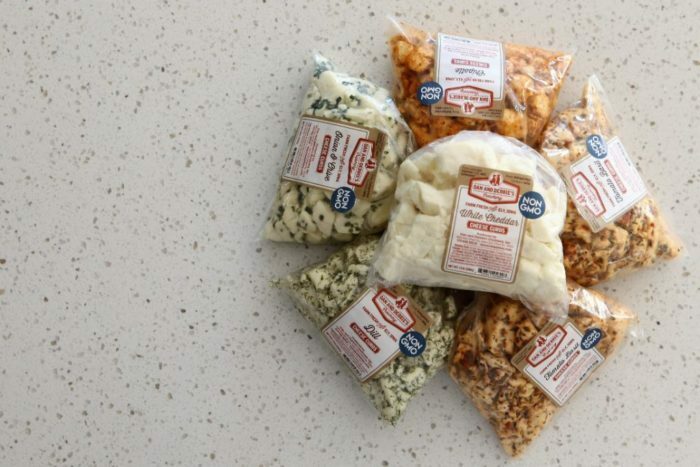 If Cheese Curds are your favorite, you're in luck! 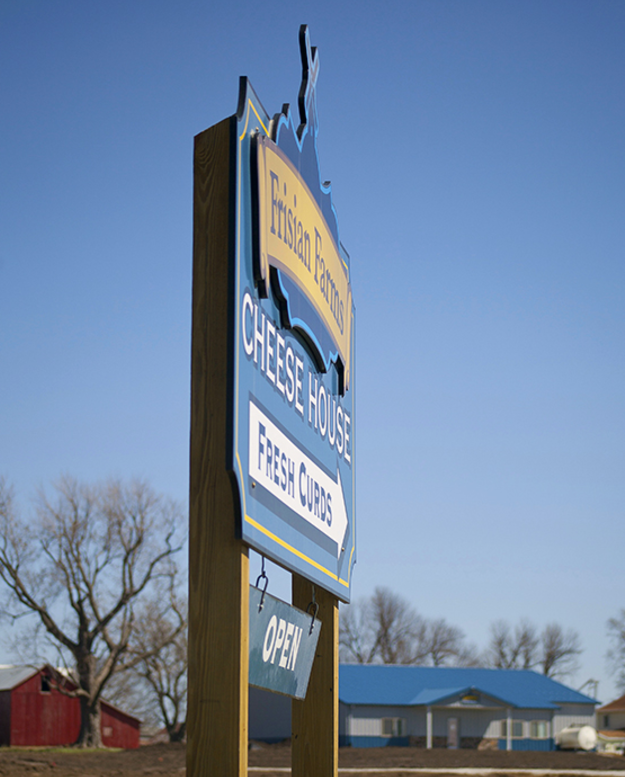 This family run dairy creamery in Ely is home to the freshest curds you'll find in Iowa. Stop by for a sample or to pick up a bag of each flavor. 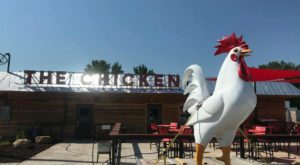 They also make delicious ice cream! Read more about this heavenly creamery here. 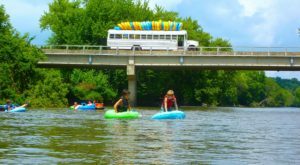 You've gouda plan a trip to Leighton to try some of the best cheese in the world! Frisian Farms makes their famous dutch gouda fresh, and you can try it when you visit. 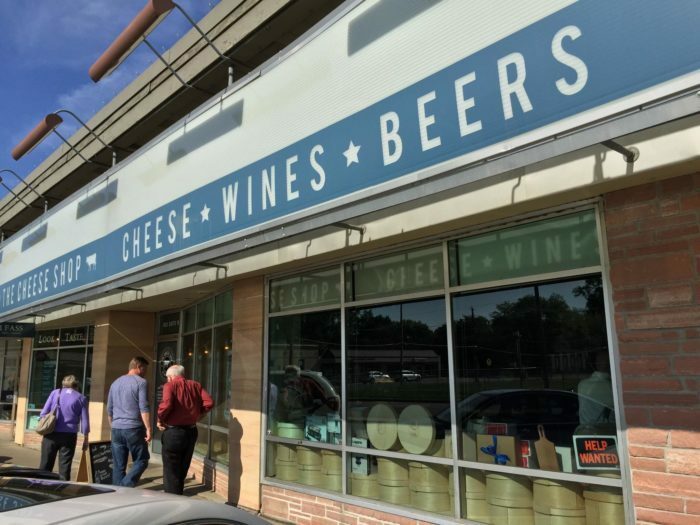 They also make a variety of other delicious cheeses, and you'll leave here with a collection of cheese that will make your heart happy. 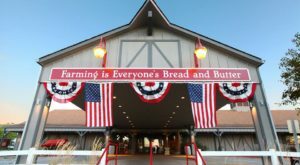 Read about this amazing cheese barn here. 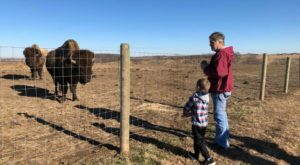 This small family farm has a dairy and creamery in Larchwood, and a bigger shop in Sioux Falls, SD. 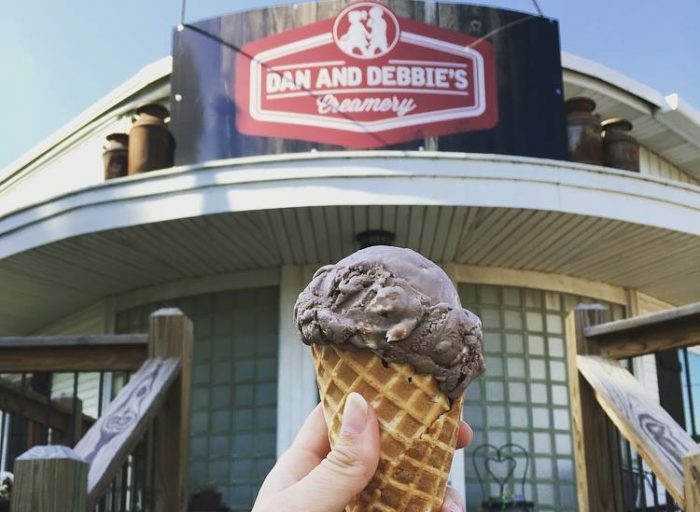 Schedule a tour to meet the cows and sample their famous cheeses and ice creams. 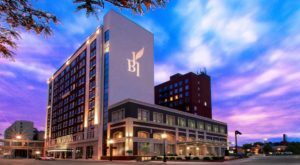 See what makes them stand out! 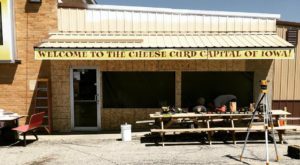 Where do you get your cheese fix in the Hawkeye State? Tell us in the comments below!